Now you can get a Clear Inkjet Printable label that is TRULY CLEAR! Stop wasting time and money purchasing other company's so called clear inkjet labels. Get a truly crystal clear - no frost label here! But don't take our word for it. Look at the picture above to see the difference for yourself. Not only is our label crystal clear, but it also has a glossy shine to it. And because our clear labels are made using a 2 mil Polyester instead of a cheap frosted paper, you get the added benefit of getting a durable label. 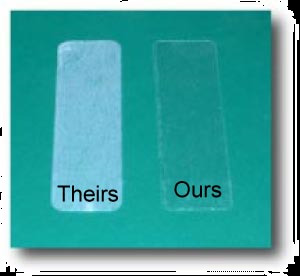 All our Clear Labels come with a permanent general purpose adhesive. If you are using an inkjet printer, please allow the ink to cure for 8 hours prior to application. While inks are dry to the touch as the sheets leave the printer, some inks require time to "harden". For extra durability or if you want to make the ink water-proof, apply our laminating labels over the top of these. 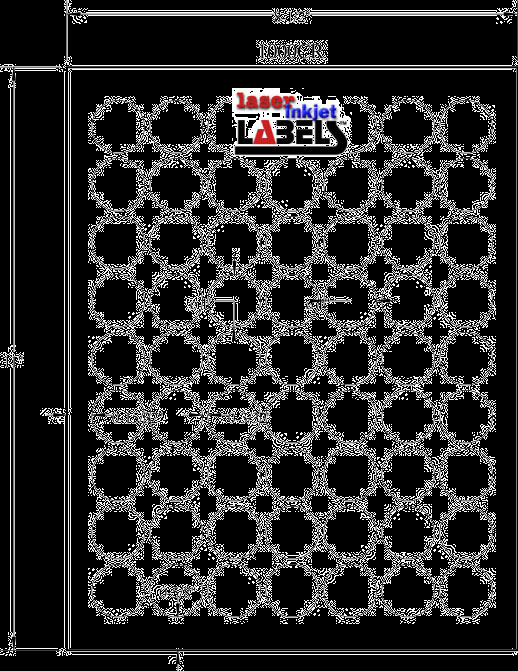 Free templates for this and all our sizes can be found on our Templates Page. Now you can get started setting up your labels before they ever show up. To get your free sample, please go to our Contact Us page.